Since I’m going to Japan soon and Mark isn’t, we dropped him off in Flint and made our way south. Don’t worry, Mark is coming to Japan. He’ll come shortly after I get there. It’s a long drive from Michigan to Homestead so my mom and I made several stops along the way. Mark found a great website and gave me the link. It’s called RoadsideAmerica.com. There are lot of interesting things to see out there! Not everything was worth a blog entry. Some of our stop was just entertaining enough to break up the monotony of a 3 day car journey. I will just talk about the more interesting ones here. Our first Mark-less stop was in Columbus, Ohio. I have one more chance to see my brother again and to try to talk him into visiting me in Japan. His second son, Alex, and my mom will be spending Christmas with me. I played a game of soccer with my brother and his boys. 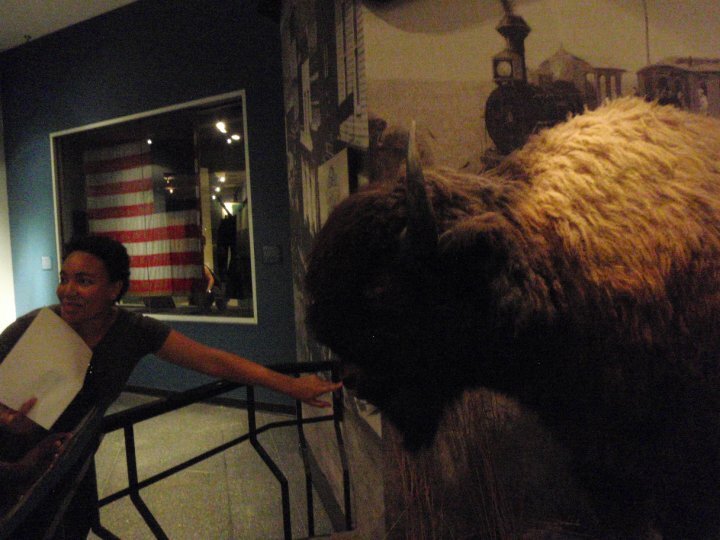 It reminded me of the year I lived in Columbus. 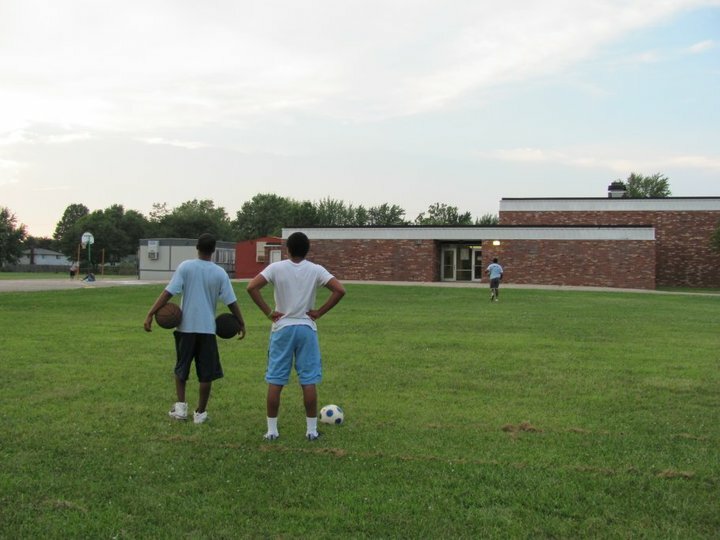 This was where I learned to play basketball and where I started exercising. This game also reminded me of how out-of-shape I am. I do need to start exercising again. You play Basketball!? ha ha! 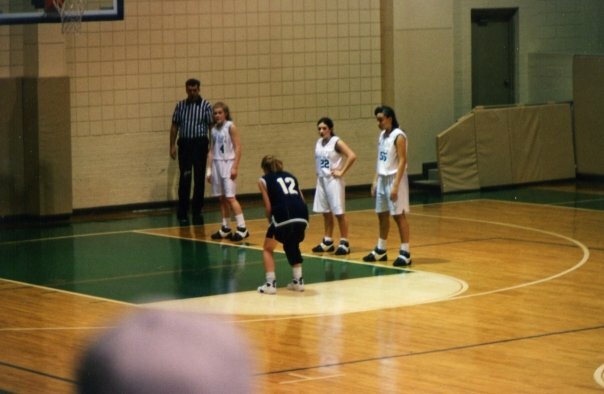 In high school I was far from what anyone would call athletic. I had never ran without cause to. I never lifted weights, unless I was trying to retrieve something. But I was, and still am, very tall. I moved to a new city and a new school. I was going to spend one year with my brother and see what life in the states was like. My mom wanted me in a private christian school. After weeks of searching my brother picked Tree of Life High School for me. At dinner that night I told my brother about my odd encounter. He rolled over laughing. “They think just because you’re tall you can play basketball. You play basketball! ?” He fell on the floor holding his sides. They misspelled my name… and I changed my major. Biochemistry!? What was I thinking? The next day at lunch I went to the athletic office at school and signed up to be a Lady Trojan. I was put on the JV team and played my heart out. I never became a fantastic baller, but that was never my goal. I did however, manage to go on and earn a basketball scholarship for college. Think of all the goodies it can hold. The next stop was to see the world’s biggest basket. 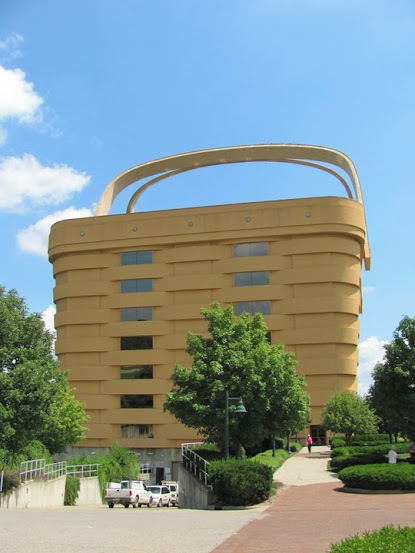 It’s actually a 7-story office building and headquarters of the Longaberger basket company. When you go inside it looks like you’re outdoors. There is a piano that plays itself and many cozy rooms with examples of how you can use your Longaberger basket. The next day we went to Mayberry. This was my first visit to a fictional town. Well, it’s actually Mount Airy dressed up to look like Mayberry. Mount Airy is where Andy Griffith is from. So to capitalize on his fame, the town recreated Mayberry in it’s downtown area. This is the actual boyhood home of Andy Griffith. 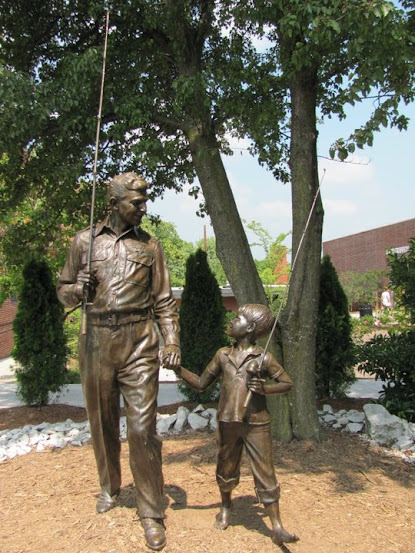 There is a statue of Opie and Andy in the town. You can see the shops, stores and other characters in the town, but the most popular one is Barney Fife. He now has a cafe and his likeness is seen all over the town. 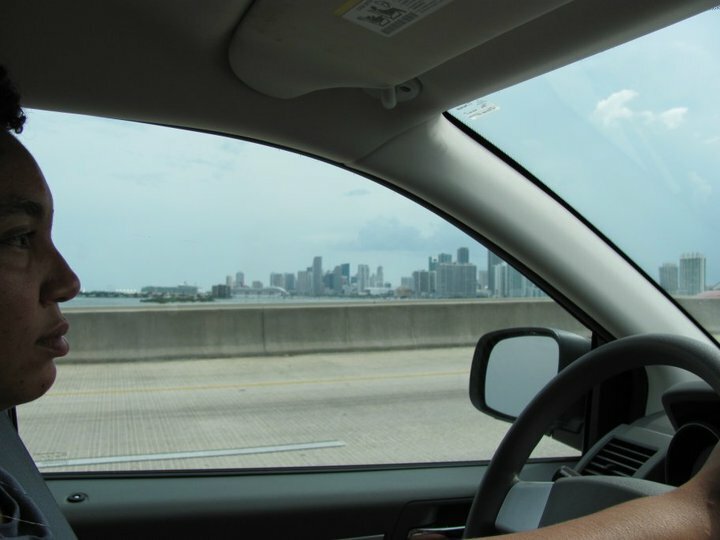 If we were just driving without unnecessary stops we could have made it home with only one overnight along the way. But how boring is that? 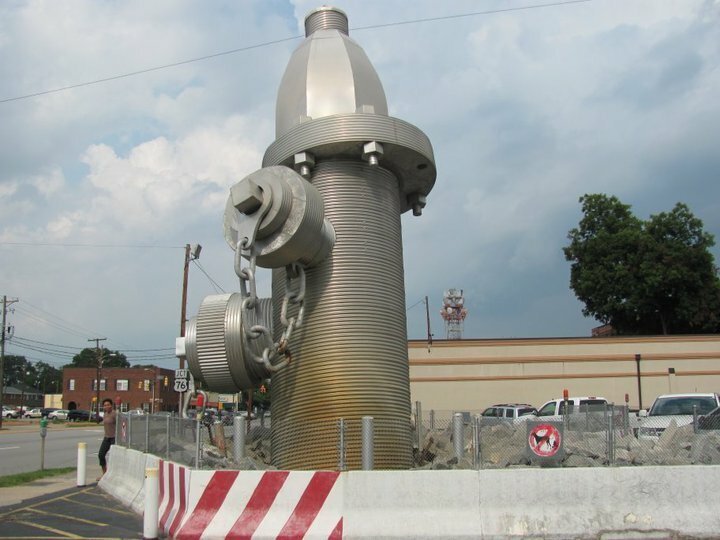 Besides when will I have the opportunity to see the world’s biggest fire hydrant again? then turn left onto State Route 13 north. Follow State Route 13 north to State Route 16 East and turn right. From State Route 16 East, turn right onto Dayton Road. Turn left onto East Main Street. The Home Office is located on the left. This place is an office building. You are welcome to come in, ask questions, and take pictures in the visitor’s area only. Take exit 100 to Hwy. 89 East. Turn left onto Pine St./Hwy. 89. Follow Pine to Renfro St., turn left. Follow Renfro Street and take a left onto Independence Blvd. You will see the Blue Signs that say Visitors Center. Once you turn onto Independence take the next left onto Main Street. Follow Main Street until you see the Big Granite Building located beside Barney’s Restaurant. This is The Chamber of Commerce Building and the Visitors Center is located in the Chamber of Commerce Building at, 200 N. Main Street. There is free parking behind the Old City Jail on the intersection of Moore Ave. and Renfro St.
You can go camping in this area. Go to the old down town of St. Augustine in Florida. It’s right outside the Ripley’s Believe it or Not. 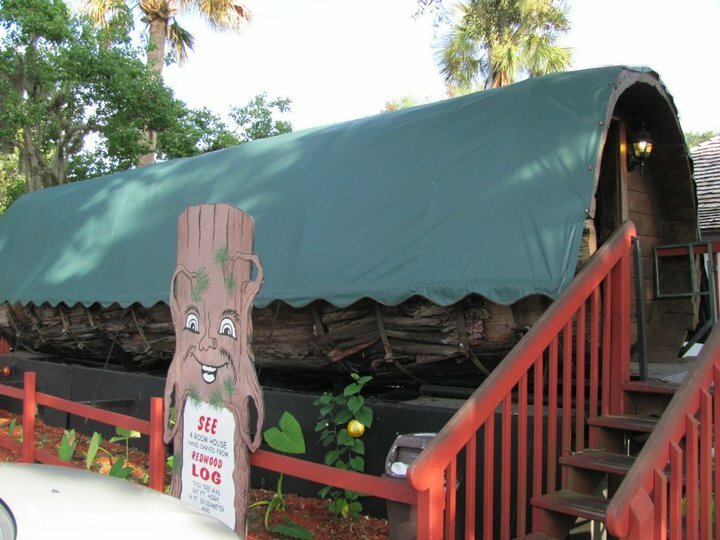 The log house is in the parking lot of the Ripley’s Believe it or Not. You don’t have to pay to see it.